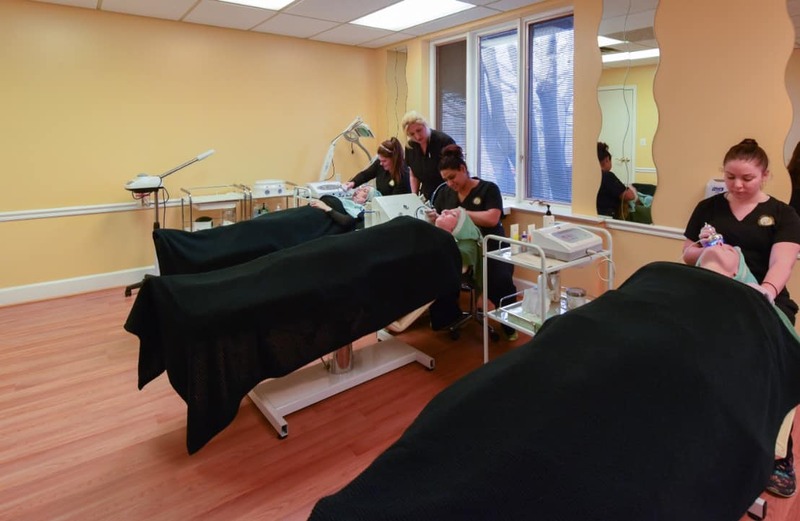 What Career Opportunities are Available in Skin Care After Attending Esthetician School? One of the greatest pleasures of working with our esthetician school students is discussing their career opportunities in skin care after they graduate. A unique convergence of trends provide an abundance of jobchoices for enterprising individuals looking to participate in the beauty industry in a unique way. A Master Esthetician or Basic Esthetician license opens up substantial career opportunities: becoming a Master Skin Care Specialist, Product Representative, Makeup Technician, Salon Owner or Manager or State Board Member/Examiner. Exciting new anti-aging technologies and an increasingly beauty-conscious population are creating an upward spiral of employment opportunities for those who have acquired their Master Aesthetics or Basic Aesthetics license. Whether infra-red light therapy or advanced peels, the industry’s pace of innovation is accelerating. As such, a field that we are tremendously excited about is that of a Medical Esthetician and their work with Dermatologists (for more information about Medical Estheticians, click here). Whether you reside in Rockville MD, Bethesda MD, Silver Spring MD or Tysons Corner VA, give Dermal Science International Aesthetics & Nails Academy a call at 703.910.2323. We remain at your service and committed to your success. How Dermal Science International Aesthetics and Nails Academy Can Equip You to Stand Apart from the Other Job Candidates? The best way to learn is to take a hands-on approach. At Dermal Science International Aesthetics & Nails Academy, we keep our classes small by design so that each and every student receives the individualized attention that is vital to achieving true expertise in the field of aesthetics. We don’t just teach aesthetics basics, we teach our students to become true aestheticians, skilled, experienced therapists that are both trained and ready to make their mark in this industry. The exclusive courses at Dermal Science International Aesthetics & Nails Academy have been designed to engage and train students from all levels of the aesthetics industry, teaching novices who are interested in learning the basics and advanced practitioners and accomplished aestheticians looking to enhance their professional skills and to advance their careers. Our graduates experience success early in their careers and have a high level of professional placement even while attending the school. We are conveniently located in Reston Virginia, just steps from the Silver Line Reston Metro Station (Wiehle-Reston East Metro Station). Visit us or call our friendly Admissions team at 703.910.2323. You will be glad you did. Looking for more information on Medical Estheticians? Read: Why Medical Estheticians Work With Dermatologists.